Anxiety is your body’s natural response to stress. It is a feeling of fear and apprehension about the past, present, or future. An anxiety disorder is more than just a temporary feeling. It can get worse over time, significantly interfere with daily functioning, and manifest in depression. Anxiety generally arises during early childhood. Early trauma has the potential to reset the body’s natural fear-processing system so that it is hyper-reactive to stress. Are You or a Loved One Anxious? What’s Your Level of Anxiety? Psychodynamic Psychotherapy: Your present-day anxiety symptoms are linked to unconscious conflicts from earlier life experiences, trauma, and/or environmental circumstances. Working through early childhood experiences creates an understanding of how family dynamics and relationships impact your view of yourself, others, and the world around you. Insight into the depths of your anxiety allows you to create new patterns of behavior as you rid yourself of the anxious ones. Cognitive Behavior Therapy (CBT): CBT helps you understand that anxious symptoms is associated with negative cognitive distortions and false beliefs. Identifying and understanding your core beliefs are key to working through cognitive distortions and shifting your perspective. Meditation: Mindfulness meditation has long been known to alleviate anxiety. 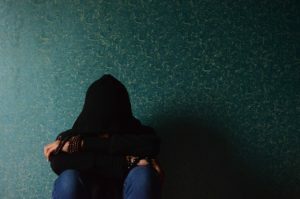 Anxiety is a cognitive state connected to an inability to regulate emotional responses to perceived threats. Mindfulness practices strengthen your cognitive ability to regulate your emotions. Group Therapy: Members are encouraged to share their challenges as they collaborate on resolving individual obstacles that arise through the group’s experience.